of your most valuable asset, your people. Looking for compensation consultants in Boise or another Pacific Northwest city? You have come to the right place. 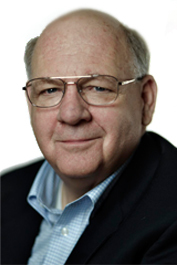 Bill Smith is one of the most successful compensation consultants in the Pacific Northwest. In June of 2012, he formed Bill Smith Compensating Consulting, LLC in Redmond Washington. in June 2016, the firm moved to Meridian Idaho. If you have a need for highly qualified executive compensation consultants or for experienced salary management consultants in Boise or elsewhere in the Pacific Northwest, B$CC has the expertise to assist you and for a fraction of the cost of hiring one of the large compensation consulting firms.. Whether you are a board compensation committee chair or a CEO seeking assistance with pay for top executives or you are a human resources professional charged with developing the best programs and state-of-the-art tools to reward other employee groups, we are here to assist you. We are committed to providing the highest level of compensation consulting ​and personal assistance to companies in Boise and the Pacific Northwest. The differences in incumbent qualifications, experience and performance. We can also assist in developing the administrative tools necessary to keep programs up-to-date. Call us today to learn more about our compensation consulting services to organizations in Boise and the Pacific Northwest, including Boise, Seattle, Portland, Anchorage and surrounding cities.